‘A Frozen-Ground Cartoon’ is a scientific outreach project presenting permafrost research conducted in the field with thematic comic strips. It is coordinated by a core group of Permafrost Young Researchers from Canada and Europe and is funded by the International Permafrost Association (IPA). 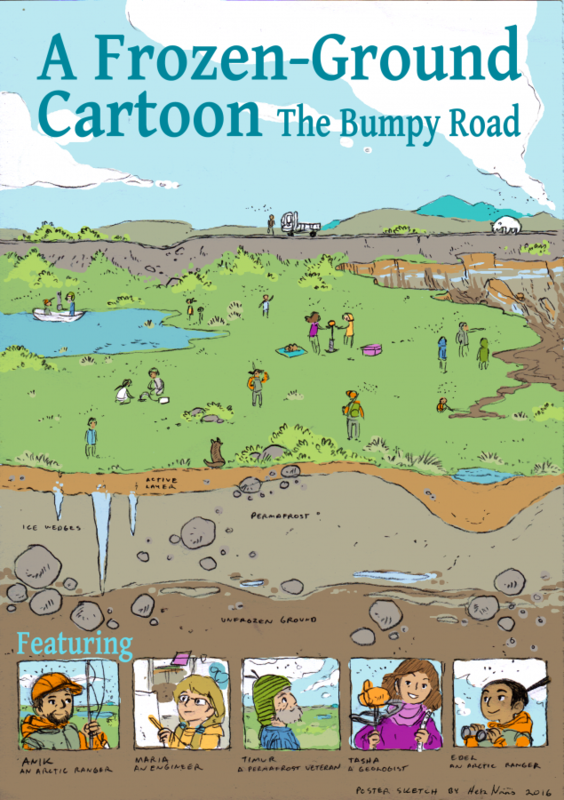 ‘The Bumpy Road’ is a comic realized by Heta Nääs, a professional young artist from Helsinki, Finland. For more information click here.